As college and professional football continue to evolve into America’s favorite pastime, one of the great pleasures for fans who attend the games is the “tailgate” party. Tailgate parties give fans an opportunity to “meet and greet” prior to the game and build their enthusiasm to a crescendo just before game-time. One should never underestimate the fun of renting a party bus for friends and family in order to throw a tailgate party in style. Not only will the host become the envy of the other tailgaters at the game, but the event will long be remembered and treasured by all those invited guests. You might want to consider a few tips about renting your party bus in order to make sure everything goes smoothly. 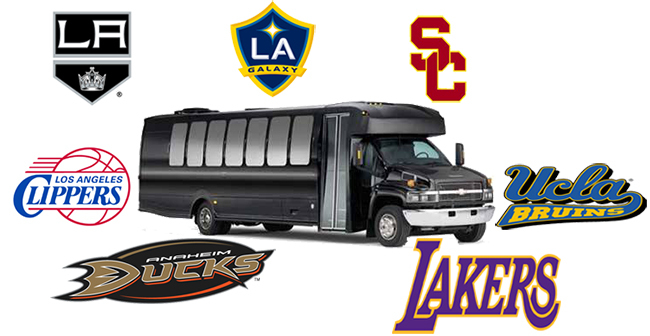 Feasibility – You need to contact the stadium and make sure you understand any possible rules they may have regarding party buses on the grounds. Given the fact that alcohol is most likely going to be involved, you don’t want to invest the money in a party bus rental if these are going to be hassles from the stadium staff. Make a Reservation in Advance – The very moment you have secured tickets for the event, you should begin your search for a party bus. Given its rising popularity, you want to secure reservations as early as possible to avoid being shut out. Most college and pro games have 50,000-80,000 fans in attendance and that’s a lot of people who might get the same idea. Guest List – Since party buses come in a variety of sizes, you want to make sure you have a good idea about how many people you expect to participate in your party so that you have enough space to accommodate them. Keep in mind that tailgate parties usually involve connecting with other outside fans, so you might want to include a few extra heads in your count. Amenities – Party buses come with a wide variety of amenities. There are some that have dance floors, physical bars, a jacuzzi, big screen TVs, a sound system and an on-board restroom, so decide in advance what amenities you want. Since tailgate parties usually include cooking burgers/dogs/steaks, you want to find out if cooking facilities are available or perhaps some type of gas barbeque hookup might be made available. Also, you want to be clear about who is responsible for providing food, beverages and cleanup. Due Diligence – Once you have located a perspective party bus, it is important to request references and make sure the driver and party bus rental company have solid reputations and all the necessary licensing and insurance. Negotiations – Try to negotiate the price as much as possible. You can look for special promotions and package deals. You want to make sure that the time-frame, price and expected amenities are all included in the contract. You should also expect to preview the vehicle prior to accepting any terms. Don’t let the details interfere with a great day. Football fans live in great anticipation of the fall. If you decide to rent a party bus for a tailgate party, you should go all out and make it the event of a lifetime. After-all, how many times a year do football fans get to come together and root for their favorite colors?